We are now open in Cold Spring, KY! Our knowledgable and friendly staff is ready to assist you in creating your one-of-a-kind work of art! At Paint and Bake Ceramics there are no studio fees, the price you see on your piece is what you pay. If you need to come back and finish your masterpiece, no worries, you can come back for no additional fees! Select from over 400 different items to paint and over 50 different colors. All paints are non-toxic and all items are food safe after being fired. Paint and Bake Ceramics has hundreds of stamps, stencils, and other design aids to assist you in creating your masterpiece. We welcome painters of all ages. 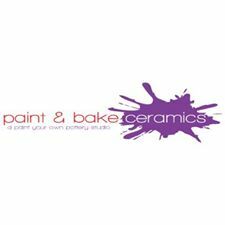 We are excited to see you, your friends, and family at Paint and Bake Ceramics!